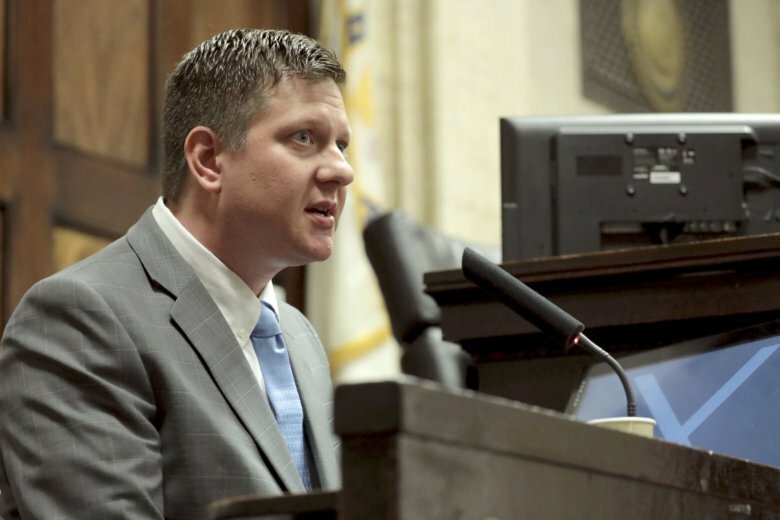 CHICAGO (AP) — A look at some of the key players in the murder trial of Jason Van Dyke, the white Chicago police officer who was convicted of second-degree murder Friday for fatally shooting black teenager Laquan McDonald. On the October 2014 night Laquan McDonald was shot to death, he was like so many other children of broken homes on the city’s fringes. He spent most of his 17 years as a ward of the state, shuttled between different relatives’ homes and foster care from the time he was 3. McDonald wound up in juvenile detention after an arrest for marijuana possession in January 2014. But school officials, relatives and his family’s attorney say there were signs that he was trying to get his life back in order. An autopsy showed McDonald had a small amount of the hallucinogenic drug PCP in his system when he died. Before the shooting, Jason Van Dyke never saw his name in the paper. Van Dyke, now 40, was just one of the 12,000 Chicago police officers who showed up to work, worked their shifts and went home to his wife, Tiffany, and their two school-age daughters. He also worked a part-time security job. He had been on the force for 13 years when the shooting happened. According to a database that includes reports from 2002 to 2008 and 2011 until 2015, he was the subject of at least 20 citizen complaints — eight of which alleged excessive force. Though he was never disciplined, a jury did once award $350,000 to a man who filed an excessive force lawsuit against him. On Friday, a jury found him guilty of second-degree murder in McDonald’s death. It makes perfect sense that Daniel Herbert should specialize in representing police officers in everything from civil rights lawsuits to divorce cases, and for arrests for crimes ranging from drunken driving to murder. A Chicago kid, Herbert got out of college and followed his father into the Police Department before he got his law degree and joined the Cook County state’s attorney’s office. When he set out on his own about eight years ago, he contracted with the police officer’s union — a move that has led to a steady stream of cases defending police officers. Every day, Joseph McMahon comes to the courthouse on Chicago’s South Side from his home in Kane County, where he is the county’s state’s attorney. Appointed special prosecutor when then-Cook County State’s Attorney Anita Alvarez recused herself and her office from the politically charged case, the career prosecutor strikes a far calmer, less flashy figure in court than Herbert, who routinely verbally spars with the judge. Though he often appears unflappable, and his questioning of witnesses is typically a quiet march through the evidence he wants to cover, McMahon has also shown a dramatic side, as he did in his opening statement to jurors when he rapped his knuckles on the lectern once for every shot Van Dyke fired. Make no mistake about Cook County Judge Vincent Gaughan : He is in charge of Van Dyke’s trial. A judge since 1991, the 77-year-old Gaughan, is a stern taskmaster, lecturing attorneys for failing to get to the point, reporters whom he suspects stuck gum on the bottom of their seats in the courtroom, and spectators who do not stand on their feet like everyone else when he takes the bench. He is a decorated soldier in the Vietnam War, and as a judge he appears fearless as he has presided over some of the county’s biggest trials in recent years.